Awesome Friday! The Hunger Games: Mockingjay Part 1 Archives - Awesome Friday! 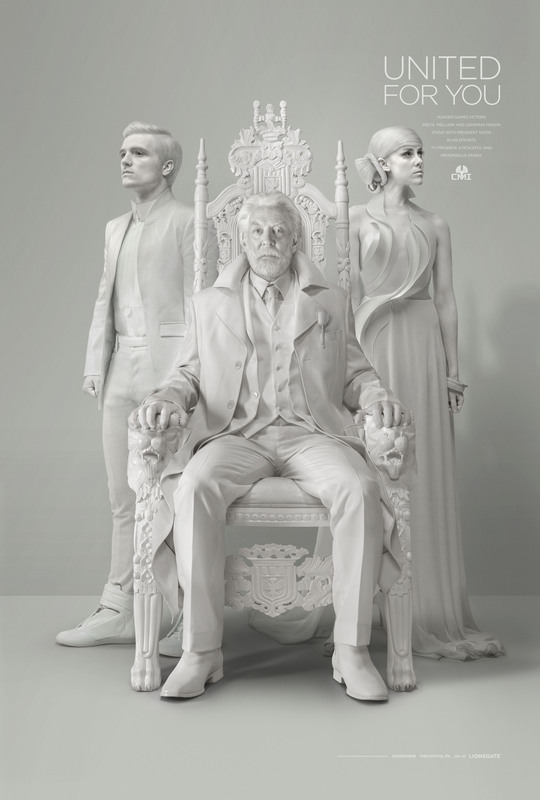 We’ve already seen a boat load of posters for this movie but this time we see Katniss’ face! We’ve already seen a lot of posters for the 3rd Hunger Games movie but none with the films protagonist. So they fixed that sorta. There are a boat load of characters in the last two Hunger Games movies and here are character posters for some of them. In one of the smartest marketing moves in recent memory Lionsgate has just announced that multiplatinum, Grammy Award winning, gives Dave Grohl hope for the future, and (how is she only) 17-year-old Lorde will curate the soundtrack to the Hunger Games: Mockingjay Part 1. A story about teens, read by teens, starring teens, and now musically influenced by teens. You can also exchange all of those “teens” for “females”. Because make no mistake, the Hunger Games is blockbuster feminism for Generation Z. The first half of the last third of The Hunger Games has a trailer. Let’s watch! The Capitol isn’t messing around. There’s two more Hunger Games movies coming and here’s the first posters for the first of them. Philip Seymour Hoffman’s death last week has left a number of projects in the lurch, but the biggest budget one has a solution and I think I’m OK with it.